When you think of mismatch, lot of things come to your mind. How does one, a very successful one with an almost cult kind of followers for a restaurant in a remote town cope with a modern city like Chennai? Jazz it up? Plush interiors? Trained waiters? Awesome cutlery? Mismatch is the way to go. Modern looking exterior. Posh Glass interiors. An a/c that looks like its going to fall off any moment. A waiting-in-queue on a weekday. BMW cars on the outside. Banana leaf on the inside. No billing counter. Just a table with the classic 'kalla.' Kalla is a colloquial term for the money box. No difference between eaters and waiters. Waiters don't have to write down orders. 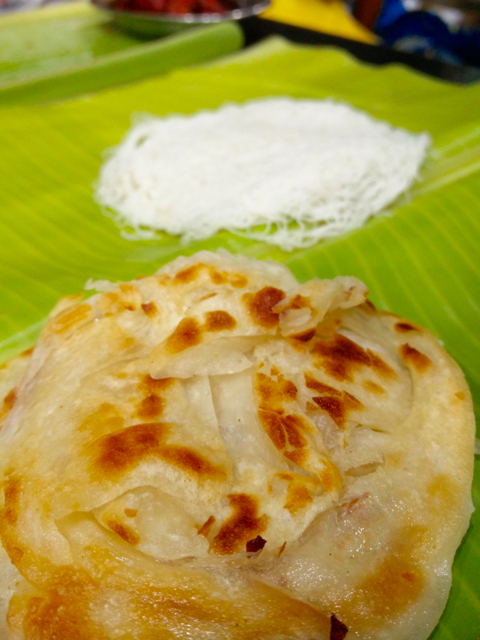 Parotas arriving in heaps, taken off the large plate with hands and landed on your banana leaf. Gravy kept in large containers in the table. For the table. Strangers sitting across you. If you want your own table, wait. Doesn't matter if you're a couple. This is not the place for coo-chi-cooing. None of that matters when the parotas make a hesitant entry into your mouth. Simply bliss. 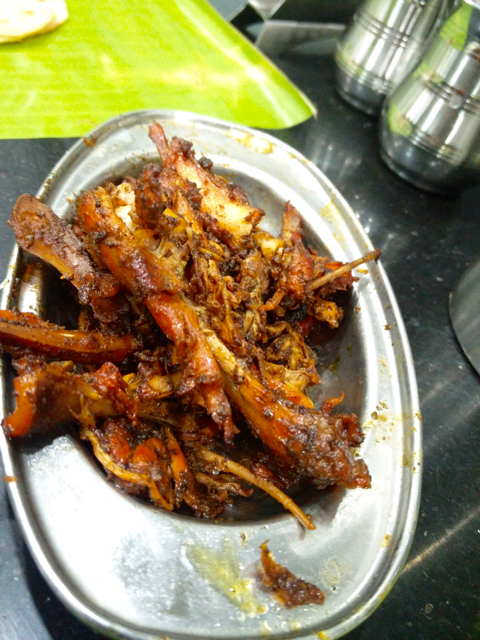 After a battalion of food festival that hit the palate last month, pure South Indian Muslim style food was a welcome change. Pichi Pota Pepper Chicken, though was highly recommended, wasn't to my liking. The idiyappams weren't great. The biriyani was surprisingly nice. Very typical of the region it is from. The leg piece didn't seem like it is from Country chicken. Not even chicken. I could be forgiven for thinking it was turkey, but the waiter assured me it was country chicken. But this place is all about one thing - parotas and their 'salna.' Simply back-to-the-roots kinda food. I am going back for another instalment of parotas! Chaos is the only way to run a place like this, but clearly there is method in their madness. Yes, while it doesn't seem like it, credit cards are accepted. Our bill was Rs. 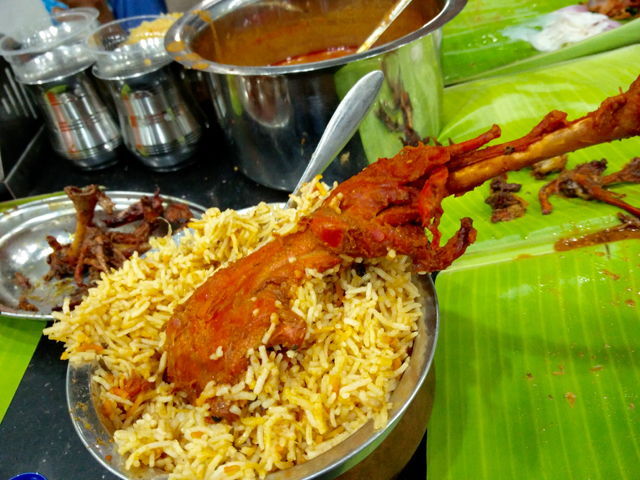 560 for a biriyani, 4 parotas served with their 'house' gravy, a chicken starter and a fried chicken.